adjustment disorder with depressed mood is characterized by depression, crying, and feelings of hopelessness. 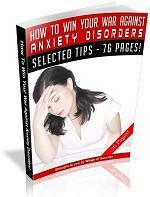 adjustment disorder with anxiety may cause nervousness, worry, jitteriness, and fear of separation. adjustment disorder with anxiety and depressed mood is a combination of symptoms from both of the above subtypes. adjustment disorder with disturbance of conduct may be characterized by violating the rights of others, truancy, destruction of property, reckless driving, or fighting. adjustment disorder with mixed disturbance of emotions and conduct involves a combination of all of the subtype symptoms (depressed mood, anxiety, and conduct). adjustment disorder unspecified Reactions to stressful events that do not fit in one of the above subtypes is referred to as "unspecified" and may include behavior such as social withdrawal or reluctance to do homework or after-school chores.